What a week for rock fans! Ozzfest has just been announced for the UK and now the hugely-adored Californians, Linkin Park are set to return with a piping-hot new album and a trio of tasty concerts later this year. Chester Bennington and co will play Manchester's MEN on 4th November, the Birmingham LG Arena on the 9th and the O" Arena in London on the 10th with tickets going on sale at 9am, this Friday (18th). The boys have been hard at it for the best part of a year, interrupted by the release of Bennington's solo Dead By Sunrise project towards the end of 2009. They have also provided a new song "New Divide" to a new "Transformers" movie last year and begun work with Rick Rubin for their, as yet untitled new collection. 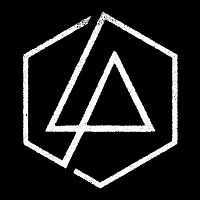 Two further new songs have sneaked out into the world - "Not Alone", a song donated to the Haiti-appeal and "Blackbirds", a soundtrack song for the new Linkin Park i-Phone / i-Pad app-game "8-Bit Rebellion" (but you can only hear it after completing the game). The app is due to get updated in the near future so watch out for news on LP's website. The new album has a lot to live up to - their last one, "Minutes to Midnight", reached number 1 in no less than 9 countries including the UK. Clearly, you are going to have to be quick for tickets on Friday!